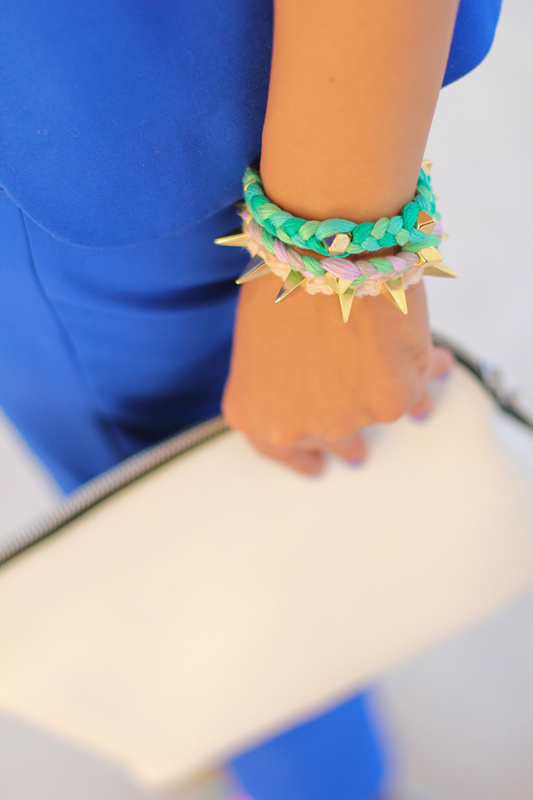 If you read my blog on regular basis, you know how much I love jewelry, particularly full on arm candy. That's why, I am so excited to team up with Etiika, one of my all time favorite jewelry brands, for a brand new INTERNATIONAL GIVEAWAY! This time, you have a chance to win three gorgeous bracelets from Etiika Spikes collection in apricot vintage, multi-colored silk in lavender & emerald! Please leave a comment here including your email address so I may contact you if you win! The GIVEAWAY will last for 7 days until Monday May 28 2012. I wish everyone the best of luck!